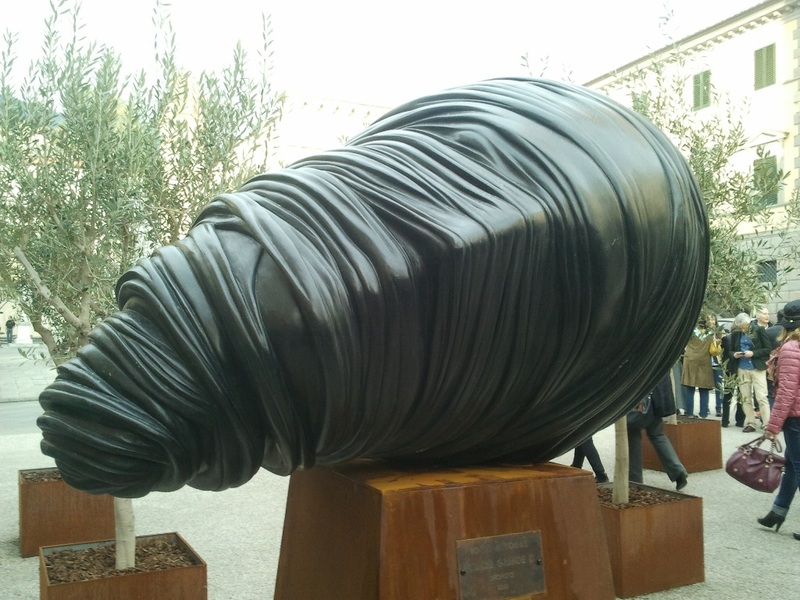 Opening on Saturday, April 18th, in Pietrasanta an exhibition dedicated to Polish artist Igor Mitoraj who passed away last October. 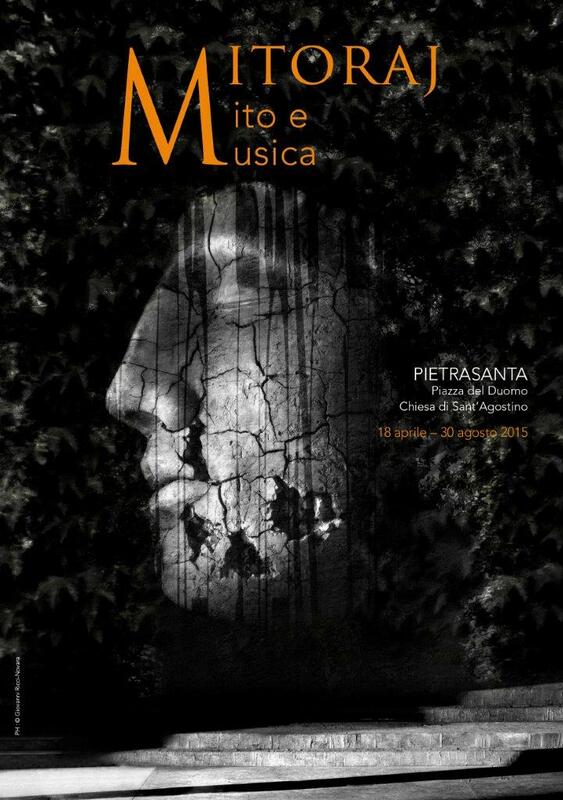 “Mitoraj Mito e Musica”, Mitoraj Myth and Music, was originally conceived by the artist himself to celebrate his thirty-year bond with the Versilian town, considered by the sculptor a second hometown. The event will be multiform. 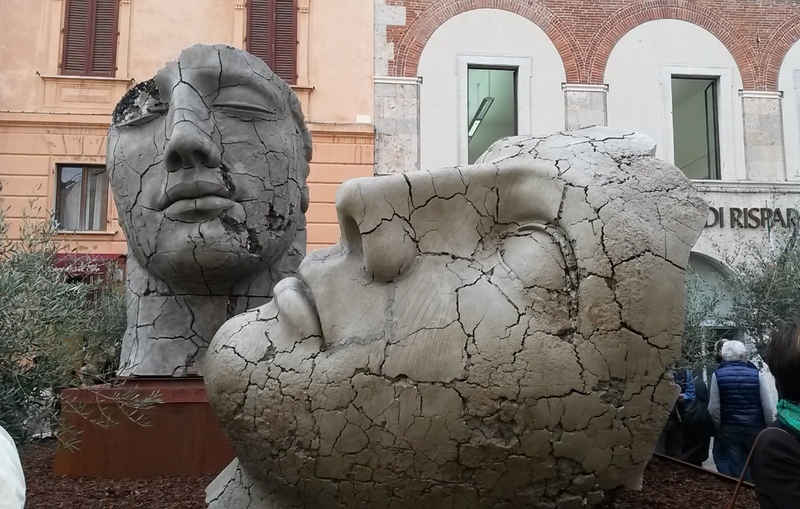 The Cathedral square will host monumental bronze sculptures as well as two gigantic works in clay, original moulds of old castings, which left outdoors are doomed to deteriorate. As by Mitoraj’s will the clay works will have their own scene, a kind of “enchanted garden”, where they will slowly waste away, because the artist wished to propose “a profound reflection on the interaction between time and matter, meaning between time and all that is intrinsic to human existence.” Certainly a fascinating and without doubt original way to face the eternal theme of decadence. 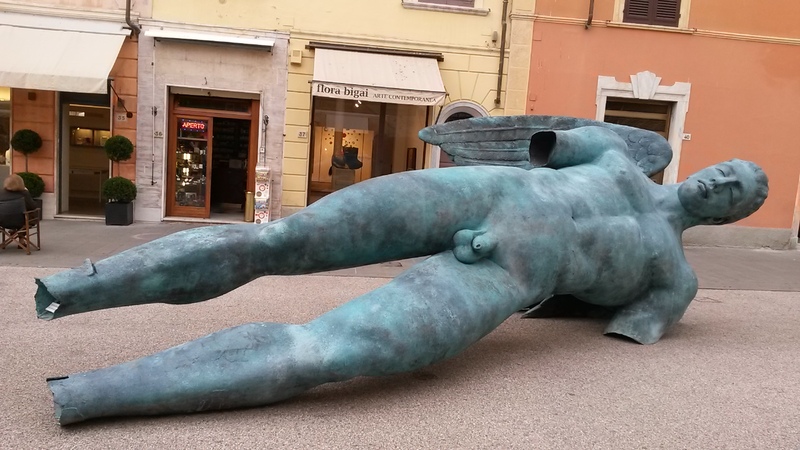 Piazza Matteotti, seat of Pietrasanta’s town hall, will host an imposing bronze Daedalus with the intention of it maintaining a silent dialogue with Mitoraj’s frescoes within the Councillor’s Chamber. 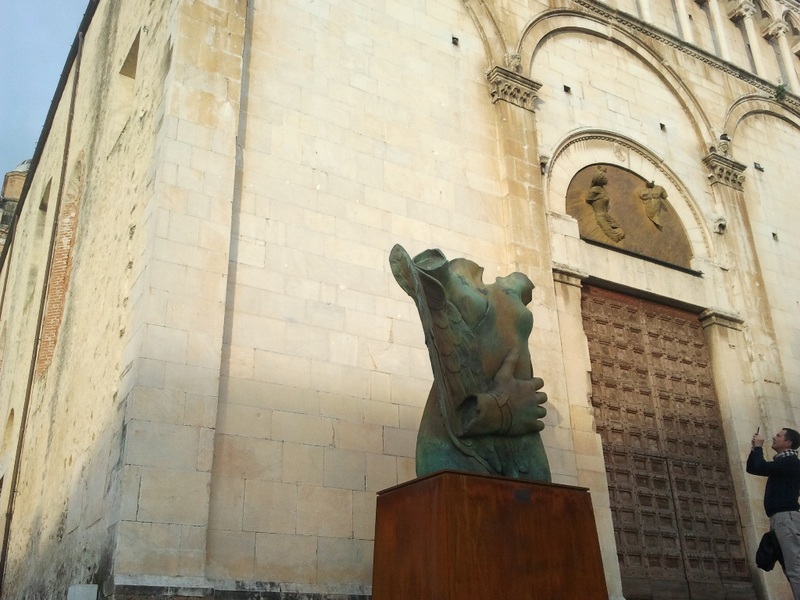 The Sant’Agostino Church complex, instead, will be exposing bronze outlines of Mitoraj’s monumental installations together with the pictures of photographer Giovanni Ricci-Novara with whom the artist had a long professional relationship. The exhibition will also be accompanied by musical events that, starting on May 9, will be held on a weekly basis every Friday. The concerts are organized by the Puccini Festival Foundation with which Mitoraj collaborated on several occasions, as can be observed by the collection of sketches on display in Sant’Agostino of the scenes and costumes the artist created for “Manon Lescaut” and “Tosca”. Far from wanting to be a posthumous tribute, this ambitious initiative is, in fact, the opportunity to participate in the last exhibition Mitoraj was organizing. Continuing until August 30, don’t miss the chance to also visit the Versilia Coast. Questa voce è stata pubblicata in Events in Tuscany, Events in Versilia, Exhibitions and accommodations in Tuscany, Pietrasanta e contrassegnata con Igor Mitoraj, Mitoraj Mito e Musica, Pietrasanta, Versilia. Contrassegna il permalink.